Vaseline is a common brand name for a petroleum jelly product made from a mixture of mineral oils and waxes. The resulting product has a melting point slightly above body temperature, enabling it to melt and flow into your skin. Vaseline then resolidifies between skin cells to form a protective barrier against chapping and drying. One way to use Vaseline to benefit your skin is in a body wrap. The petroleum jelly forms an occlusive barrier to natural water loss. An overnight Vaseline body wrap will help your skin retain its own moisture, leaving skin softer and smoother in the morning. 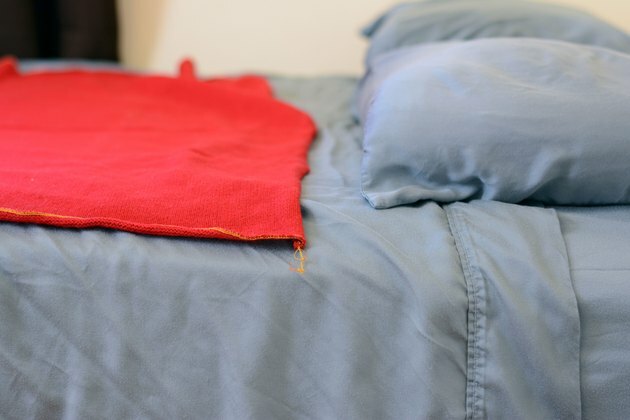 Protect your bed from Vaseline that may escape the body wrap by placing an old blanket on top of your regular sheets. You’ll also need an old blanket or sheet to cover your body during the night. Spread a thin layer of Vaseline over the area of your body that you wish to wrap. Do not rub the Vaseline into the skin as you would lotion; simply spread it on top of your skin. Begin wrapping gauze bandages over the Vaseline, from the bottom to the top of the coated body part. For example, if you are wrapping your legs, begin wrapping the bandages or plastic at the ankle and work your way upward. The wrap is a protective cover and should not be too tight; the goal is to keep the Vaseline on your skin overnight, not to cut off your circulation. Tape the end of the wrap with masking tape to hold it in place at the seams. Sandwich yourself between the old covers at bedtime. In the morning, remove the gauze wrapping, then discard it. 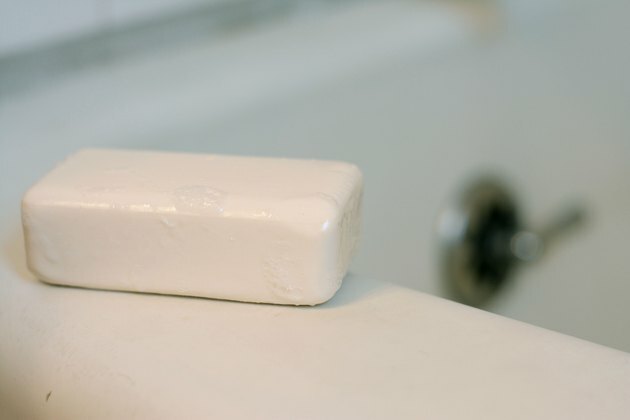 Shower with a moisturizing soap to help remove the greasy residue that the Vaseline body wrap will leave on your skin. For a quick Vaseline body wrap, cover your Vaseline-coated skin with plastic wrap, using masking tape to hold the wrap together at the seams. Leave the wrap on for 30 minutes before removing. Wash with moisturizing soap. You can also use Vaseline to treat dry skin on your hands and feet overnight. Spread Vaseline over your feet and hands, and sleep in cotton socks and gloves. It’s still a good idea to protect your bed linens during this process. When the Pudge Won’t Budge: 5 Reasons That Belly Fat Won’t Go Away! !